Ancient wisdom: How did ancient people educate their children from within the womb? ‘Prenatal Education’ – the method of educating a child from within the womb – is not a modern-day approach. It dates back for generations and is alive in ancient texts and historical documents. In today’s modern society, there are many young couples who attach great importance to the practice of ‘fetus education’. In the past, some experts have said that if a pregnant woman listens to Mozart’s music, the brain of her unborn child will develop more creatively, and the child’s interlect will increase. If she practices yoga, listens to light music, or reads books, the child could benefit in numerous ways across its development. Whether it is effective or not, or how effective it is, parents – to – be will trust and follow this advice, since they desire to give birth to an intelligent, healthy, and talented child. However, the practice of fetal education is not a modern approach, it is, in fact, anything but, the practice actually dates back millennia. What did our ancestors think about prenatal education? People from the past would have thought that the practice of prenatal education is respectable and responsible. It was a widely excepted practice and was thought of as exceptionally wise. 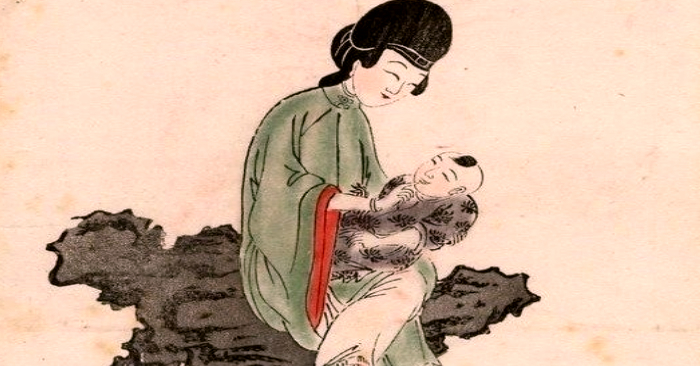 One of the most famous originators of the fetal education approach in Chinese history is Tairen, mother of King Wen of Zhou. 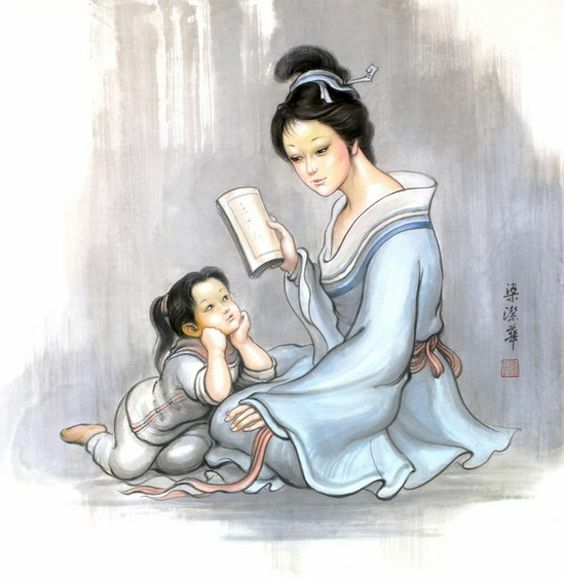 In the book ‘The Biographies of Exemplary Women’, it explains that when Tairen was pregnant, she avoided looking at negative scenes, uttering arrogant words, and tried to keep an upright sitting and sleeping position. 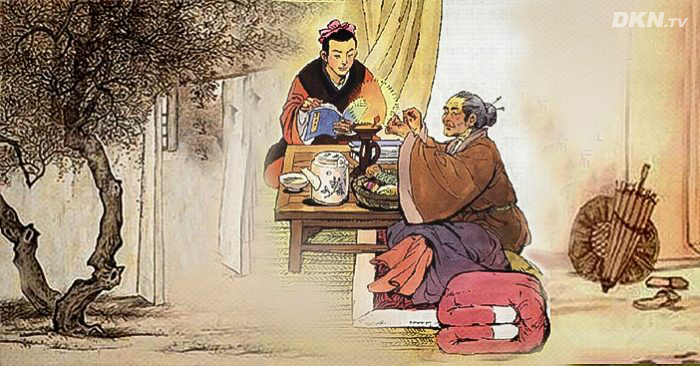 Thanks to her mindful and decent attitude, her son, grew up to become King Wen of Zhou, who showed unparalleled dignity, outstanding wisdom, and learning capability, even from early childhood. It was later believed that the successful application of fetus education by his mother was attributed to the King’s outstanding personality and achievements. With the application of fetal education, it is thought that the child will develop into a decent and dignified person with eloquent speech and fine behavior. Another ancient medicinal book with a comprehensive record of fetus education, too, advises that pregnant women should keep the habit of frequently listening to music. This also coincides with the modern method of prenatal education. Our ancestors, however, were not using the music to influence the fetus; rather to keep the mother mentally stable, giving her a balanced spirit. The mother is more able then to impose a positive effect on the fetus. It can be said that this theory is supported by reliable scientific research. According to the ancient books mentioned above, it is apparent that the ancient approach attached great importance to ‘moral fetal education’, from the beginning of the pregnancy until the birth. Parents were instructed to be careful and exemplary in their speech and behavior, to keep the fetus’s mentality in the purest state. The experiences of the ancients suggest that the success of moral education not only enabled children to develop intelligence but also grow up with precious personalities. 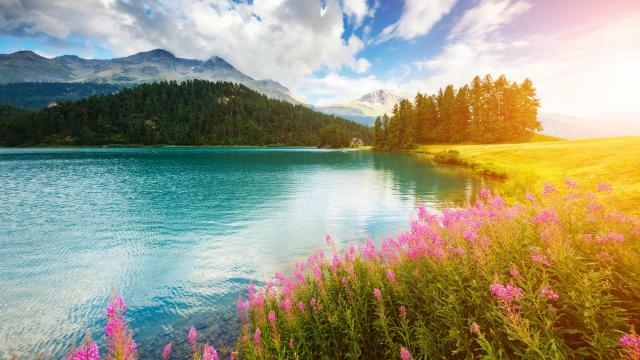 A person who is virtuous and upright, can concentrate on study, is not easily distracted by temptations, and will pursue his career with focused determination. Moreover, children who have been educated morally from an early age will become good citizens of society; even if they are not brilliant, they will be human beings upholding moral ethics and culture. Today, parents always want their children to have the most exceptional talent, to surpass all others, but whether or not this happens, in addition to money and fame, what do the parents ultimately leave for the child? What is the best method to educate them? Perhaps we should reconsider the ancient knowledge of prenatal education to find the answer.